It’s obvious I’m a lover of oatmeal. (Just check out my Instagram feed) Some say it’s old people food. Old people food?? No way! Well, maybe if it was plain oats and water … so very ho hum. But it doesn’t have to be that way! You could have a bowl of oatmeal every day for a year and have something different every morning. 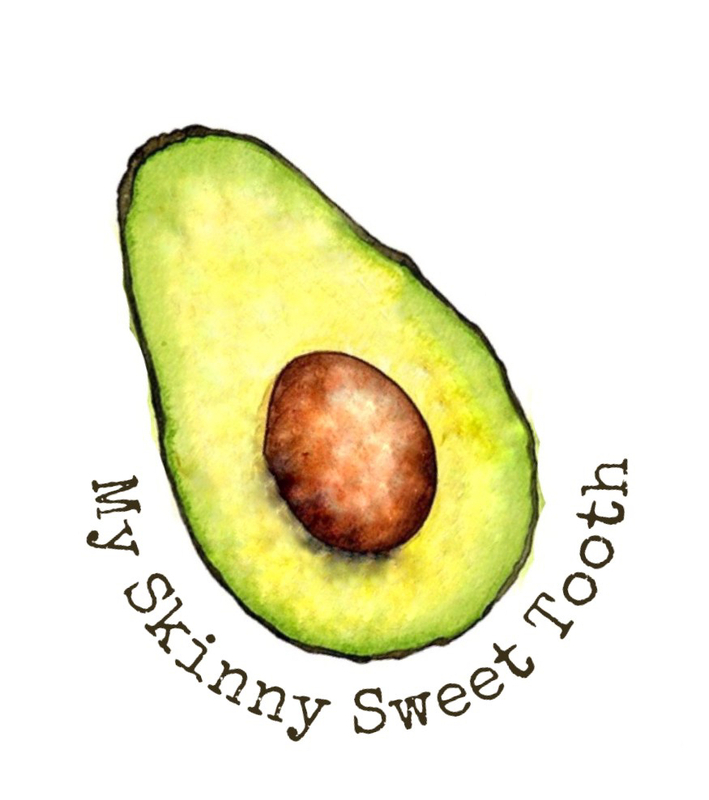 It can be sweet, savory, creamy, crunchy, sinful, or the healthiest bowl known to man. **No protein powder? No worries! Just add 1/2t vanilla extract and only start with 1/2C of milk. Add more if needed. 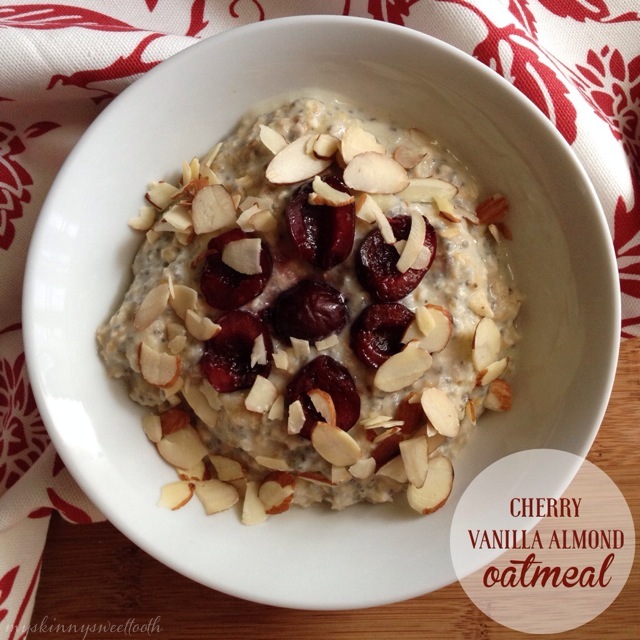 •In a bowl, add everything EXCEPT for the cherries and sliced almonds. •Place in the microwave and cook for 1:30 on High. 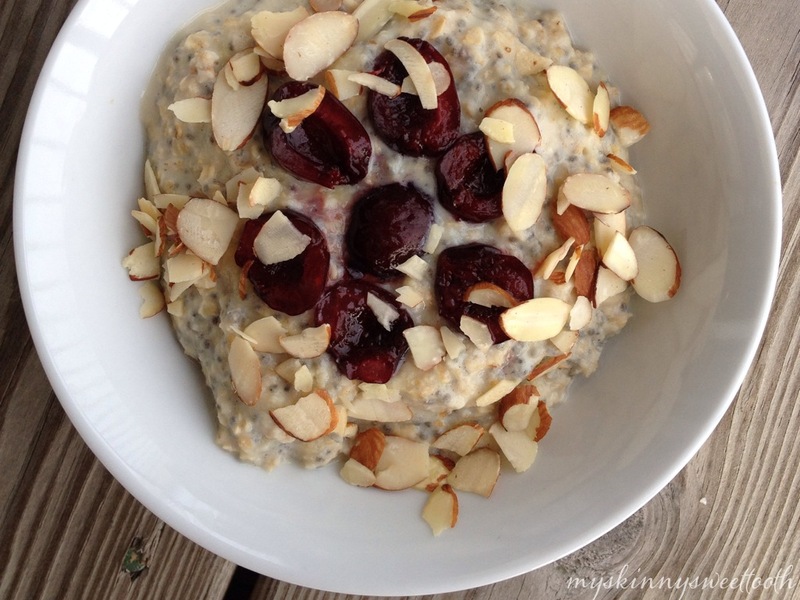 •Top with cherries and sliced almonds. I am a lover of oatmeal, too!!! I am going to be trying this, the coconut cream pie, the German chocolate cake and others very soon! Thanks for sharing! Yay! Another oatmeal fanatic! 😉 I have another oatmeal recipe I’ll post soon. Probably a top 3 of all time 😉 hope you enjoy them! Karen- what a lovely combination! Sounds delicious! I’m so happy to see the melted banana trick! That’s my go-to way of prepping my bananas for anything I’m about to bake or make oatmeal with. Yum! We are oatmeal lovers as well, though we eat steel cut oats. My son loves them, even in the heat of our Southern summers! We just had peanut butter banana oatmeal, one of our favorite flavor combinations.